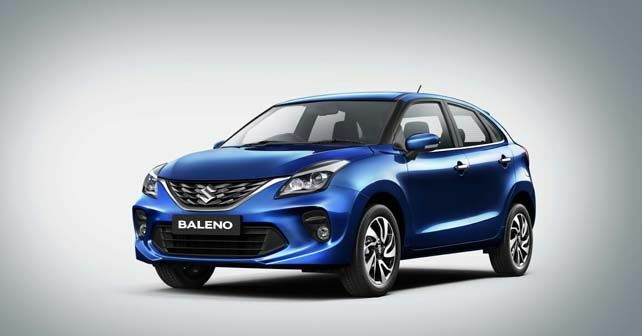 Maruti Suzuki India Limited (MSIL) has updated its premium hatchback offering, the Baleno, for 2019 by giving it a redesigned front fascia, an updated safety kit and a new infotainment system. Shortly after opening the order books for the new Baleno, MSIL has launched the updated model here at a starting ex-showroom price of ₹ 5.45 lakh for the base petrol variant. While the changes on the 2019 iteration are a part of the model's mid-cycle refresh, they were much-needed to enhance the car's ageing look and appeal. Well, the most noticeable change up front is the reworked front fascia. It has been redesigned to offer a bolder, wider stance with a new 3-D design grille. Even the fog lamp housing has been revised, and the lamps themselves now sit away from the air dam in the newly sculpted pockets of the bumper. The LED projector headlight units also seem to have undergone a layout revision with a larger presence of smoke-black components. The front bumper has been given a chiselled look, with an aggressive-looking lower lip, similar to the international-spec Swift Sport. Another notable change in the exterior comes from the new, precision-cut 16-inch two-tone alloy wheels. Customers can avail two new colour choices for the 2019 Baleno – Phoenix Red and Magma Grey. The interior of the 2019 Baleno, too, gets significant upgrades. The seats are now finished in a new seat fabric, carrying a dual-tone combination of blue and black. The dual-tone interior theme has also been carried over to the door cards. In terms of feature offerings, the 2019 Baleno gets Maruti's new Smartplay Studio infotainment system, which recently made its debut in the 2019 WagonR. The new infotainment system gets a 7-inch touchscreen, which also doubles up as the integrated display for the rear parking camera and features Apple CarPlay and Android Auto connectivity. Other than this, the occupants also benefit from the presence of convenience features like Voice Recognition and the Smartplay Studio App (offers navigation aid and live traffic updates). Mechanically, the 2019 Baleno remains the same as its predecessor and carries over the same engine and transmission choices. While the Baleno was the first model from MSIL to feature its safety-oriented Heartect platform, for the 2019 model, it gets safety features like dual airbags, ABS with EBD & Brake Assist, pre-tensioner and force limiter seat belts with reminder, ISOFIX child restraint system, speed alert system and rear parking sensors, which are standard across all variants. Recently, the Baleno became the fastest car in its segment to breach the five lakh sales mark. Here's a look at the variant-wise price breakup of the 2019 Maruti Suzuki Baleno (all prices mentioned below are ex-showroom, Delhi).